Depression is crippling. It makes you feel ineffective and worthless. I know what that’s like because I dealt with depression for many years of my life. Today I want to share 3 powerful techniques that helped me fully heal my depression—and they will help you too. Depression can be a life stealer. It can steal away day after day after day, causing you to live in a very compromised state of being. I know personally, I’ve had to heal depression. It’s been something I’ve dealt with for many, many, many years of my life, even from my childhood and I want to help you heal your depression. You’re going to get some of the best healing advice right here on my channel so subscribe and then click the bell so you get notified about all of my amazing videos that I’m producing and launching every week. When depression hits you, we tend to think it’s a moral issue. I’m less of a person. You start to feel worthless. It’s an interesting dilemma because you think it’s about your state of value as a human that you’re not as valuable. You feel worthless and then it cripples you and a lot of your activities, how you feel you make so little contribution that you even are more judgmental of yourself, feeling less valuable because you just seem so ineffective in life. And it’s not something that is understood by a lot of people so you keep it hidden and you do your best to override it. I know what that’s like and I don’t want you to do that anymore so I want to teach you three techniques that I used that helped me heal my depression and I’m gonna show you some actual acupressure points that you can use essential oils with that will support a natural healing response in your whole system. It does require repetition. You need to follow through. It’s not like a magic pill you do it once and voila you’re all better. It takes our persistence and our desire to be well. When I was first diagnosed with depression in 1987, nobody talked about it. It was something that was considered very shameful. Not a lot was known about it at the time. There weren’t good treatment methods and you just tried to do your best with it. And it’s interesting as I trace the history of depression in my family system, which I think it’s a smart thing for you to do, it’s typically generational. I have the genetic influence of depression from both my father and my mother’s side. My father dealt with it for most of his adult life and then my mother had bouts of depression off and on. I heard the story more than once in my life that my mother was dealing with some very extreme postpartum depression right after I was born, which is an interesting, that’s another interesting conversation about healing and healing all of that because when you enter the world and you’re in the energetic field of your mother who’s depressed, that kind of hits you heart in your first few months of life. And then back from my mother, it’s a sad story but one that I feel that I’m in a place to now celebrate because I’ve done the healing and I’ve shifted this for my family because I do believe as you heal these generational patterns, you’ve changed that for your posterity. My great grandmother actually did try to end her life when she was 47 due to very extreme states of depression. And she went on to be hospitalized and was given brain wave treatments, shocks to her brain that were very damaging to her over the years. They left her to be quite a bit lifeless and not engaging in life because it had really destroyed her brain, but they had no other methods to treat depression. Because the number one tip I have for you, I have three really great tips. The first one, it’s almost the most important is you got to change your perception of what you’re dealing with. Because of the history of shame that’s been attached to depression, you need to graduate to a more enlightened perspective of what depression is and what I now understand, it was a brain health issue. It had nothing to do with my moral character. I had some parts of my brain that weren’t working up to par that then caused side effects that we diagnosed as depression. When I started to learn about my brain and how to correct those brain health ailments, I started to experience the benefits of healing and the oil I’m going to introduce you to today, the essential oil helps your brain. It helps activate your brain functions. It’s a stimulant. Herbs do that. They’re very ancient healing properties in herbal medicine that you can get the benefit in our modern day times. What a relief, huh? You can be honest about your condition. So that is my number one tip is own it but see it differently. Own it without any shame and see it differently. Just like you had broken a bone or sprained an ankle, you don’t feel ashamed about that. You just know it’s a part of the body that requires healing and healing is possible. I’m here to tell you that I have healed my depression. 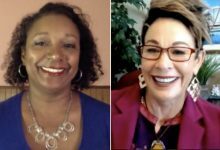 I’ve gotten more great support for you with the material I released recently on my healing center site called The Carol Tuttle Healing Center. I can get you into the deep nitty-gritty issues of what keeps provoking depression. Go to healwithcarol.com I actually have created oil blends for every healing plan on that site. It’s powerful and I will shorten your healing time by a large margin. It’s taken me years and years to heal my depression, to find the right information, to find the right support tools. I can help you do that a lot faster at healwithcarol.com. 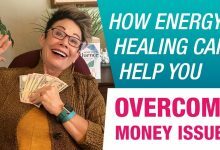 I already have helped literally thousands of people heal many imbalances in their life with the resources I provide there with the amazing community of people just like you that are really committed and proactive and knowing healing is available to you. You just need to be taught how to do it and I’m here to teach you. So the second step in healing your depression is you have to be proactive. That first is a mind shift, okay? You’re changing your perception. It’s owning it and changing your perception of what you’re dealing with so you take the shame off. Remove the shame. You just got some stuff in your brain that’s not working right, okay? That can be corrected. The second is to be proactive now and seeking out what will help your brain heal. What is it your system’s needing. 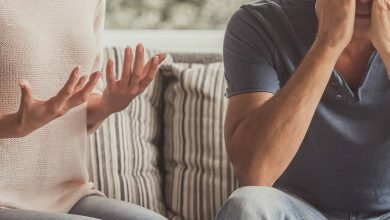 There’s an emotional tie into that and that’s why the resources at the healing center going to really help you clean up the old emotional baggage you carry that’s provoking depression cause their body hangs onto this stuff, but there’s also some proactive things you’ll be led to do in caring for yourself. I know for me it was some dietary changes that have been extremely beneficial, using essential oils in a very proactive way. Making sure I get the proper sleep. Changing my language about how I spoke to and thought about this condition of mine. Knowing when I saw the signs kicking in. I got very clear on the pattern it played out and what perpetuated it. There were certain scenarios that triggered me and I needed to remove those triggers and then I needed to be proactive when I got triggered to take care of myself. Whether that’s doing a clearing, working with the oils, working with my own body’s healing system. So be proactive. Don’t just be a victim to your depressed state. Be proactive having set the intention, I am healing my depression. I am healing my depression. I am putting my attention on joy. I am creating joy. You can do this. If I’ve done it, you can do it. Oh, what a relief. 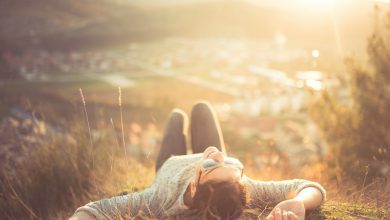 Is that great to know you can heal depression? 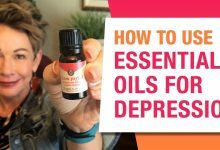 Now the third tip and involves an essential oil blend I have produced specifically for healing depression. This is called I am joyful. I am joy is an oil blend with several different oils and I want to mention a couple of them. In this oil blend, I worked very, very closely with a certified aromatherapist to select specific herbs and plants that would be the base of this soil that are in this soil blend to help you. One of the oils that I love that’s in this blend, there’s two I want to talk to you about and teach you about that then I’m going to show you how to use them. The first is sweet marjoram. You may not know, but sweet marjoram has a nickname, it’s the herb of happiness because it provokes a state of happiness. It helps generate a sense of wellbeing. It actually prompts your endocrine system, your hormonal system to become more active when it’s in a defunct imbalanced place. So that was a no brainer to put that in the oil. The second oil (and there’s, one, two, three, four, five, six, seven, eight different oils in this blend) I want to mention is Rosemary. Rosemary has the nickname of being the oil of remembrance. It helps you remember the truth of who you are. It brings clarity to the mind and helps release toxic energy. I’ve used this oil now very consistently to help with countering and prompting healing properties of my brain and my body. That’s the key. I’m going, okay, I’m going to use this to kick in, turn on the switch in my body’s own natural healing mechanism to come back into balance. The most obvious use of it is to just inhale it. You can do it right from the bottle and it smells lovely. There’s a pine scent in here as well. You feel like you’re walking through pine forest. It’s very nice. So inhaling it right from the bottle or to really put it into your environment, your space, get a diffuser and diffuse it in the space you’re in so that your body is getting a constant supportive inhaling it. The second way I’ve used it is to take a few drops and I rub it on my feet. Now I do the specifically at night because your feet has all your nerve endings are in your feet and you have multiple pressure points in your feet and while you’re sleeping, that’s a place that’s a state of regeneration. And so rubbing this and you put it in a carrier oil like coconut oil or and rub it all over your feet and then you can even put socks on so it really absorbs into your skin and you’re going to get this support for this regenerative period or even help you have a better sleep because it helps clear the mind. The third way that I’ve used it is with a pressure point that you may or may not know about. It’s right here, but the webbing between your thumb and your index finger. This pressure point right here, this pressure point helps activate a state of wellbeing. So what I’ll do is just put the oil a drop right there and massage that point and I’ve got enough to do it on both. Using my other finger, you can see them. I’m just massaging this pressure point, even holding it. So when I feel it, depression has a pattern. 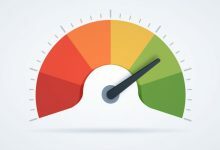 When you investigate the high and low pattern of you’re depressed moods and state of being, you can start to notice when you’re triggered to go into the slumps and if you catch yourself and we’ll actually with the oil work with this pressure point. It might even be sore. Feel around in there and see if you notice if it’s tender or sore. That means it’s calling for your attention. Your system is going to benefit from that. That doing that at that moment, it intercepts that pattern playing out. Now again, I did a lot, I did several other things to support me and dietary changes, fitness in the morning, anaerobic states of fitness so that I’m breathing heavy, getting my heart rate up. That has a lot of benefits. Getting outdoors. I really was able to, as my mind cleared, I was in more of an aware state and a proactive state to be able to take action and to actually put together a plan that supported me in overall healing this and then sustaining it. So the oil’s going to help you get to that place where you can be proactive and put a plan in place to say, this is what my system is asking for to help me heal depression. I know you can do it. Believe that’s possible. It can heal. Your body is a phenomenal healing machine. Your brain knows how to get well. It knows what it needs to heal. Help it get there. I’m Carole Tuttle. I’m the author of six books. I am the creator of the Carol Tuttle Healing Center. You’ll find the oils when you go to healwithcarol.com. Get involved in being proactive in your healing. I am an expert of healing of 25 years. 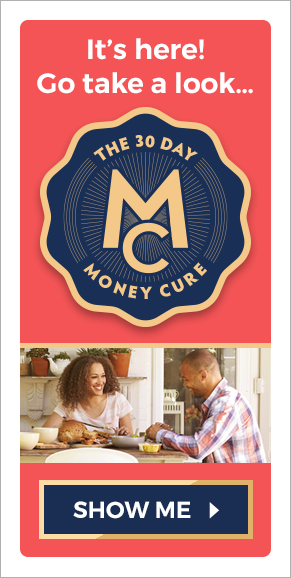 I’ve literally helped millions of people and they are using the tools I’ve taught them to sustain wellness. 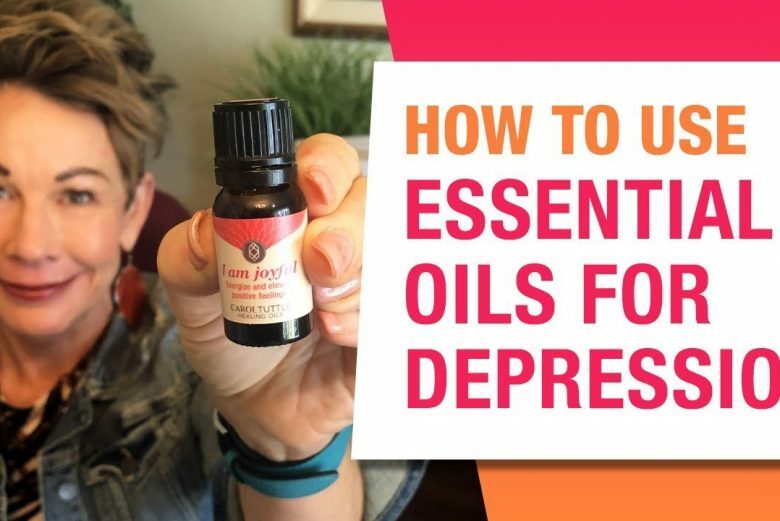 And you’ll see a link at the top on the top of the page for the essential oils for you to invest in these powerful tools to be proactive in healing your depression.